Christmas PowerPoint Trivia: World Record Edition! Tuesday has arrived! Time for this Tuesday’s Game of the Week! I know plenty of you will be having Christmas themed services and parties coming up, so I put together a little PowerPoint Trivia game for you. This PPT is all about Christmas World Records. You can use the viewer below by clicking on it or download the file by following the instructions listed at the bottom of this post. Hope you all have a Merry Christmas! 1. 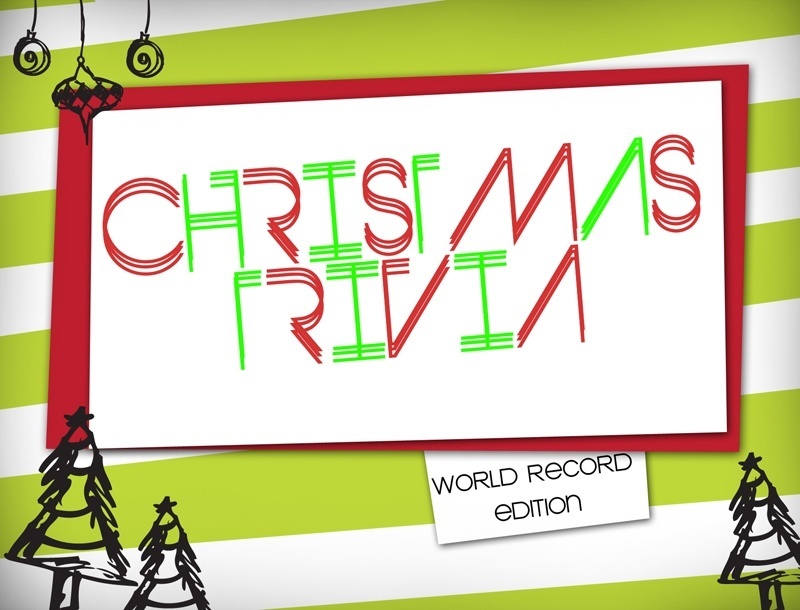 Download Christmas Trivia World Record Edition (make sure to click “Save As”) to your computer. 2. Once the file is downloaded, open PowerPoint on your computer. 3. When PPT is open, go to File, click Open and find the document you downloaded. At this point you should be able to view the file and make any alterations you might like. NOTE: You can also use PPT Viewer if you do not have a version of PPT on your computer. I hope this helps! To get more great games for Christmas and the rest of the year, follow us @stumingames on Twitter and subscribe to our blog! Thanks! We started playing xmas games 15 years ago after dinner. We worked our way up from paper copies to powerpoint on a TV. This edition is a nice change from the usual picture to a song questions!